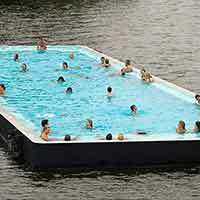 For all your HDPE Floatation Needs! 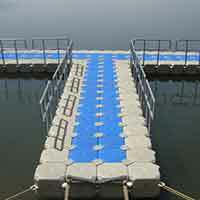 Incodock installs Modular Floating Jetties & Docking Systems usable on all types of water bodies. 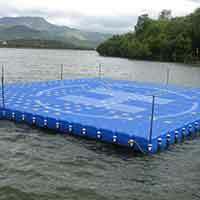 Our Floating Platforms are easy to setup and operate, and are eco-friendly and non-toxic in nature. 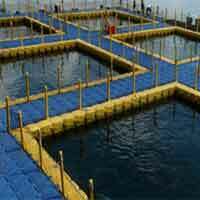 Due to their properties and modular nature, our floating systems have been used in a number of innovative ways. Low Draft Self Propelled Material Transporting Solution - "MTS - 40" If you have concern about boats grounding in shallow water or damage to boats while transportation of material, then the MTS - 40 is the ideal solutions for you. 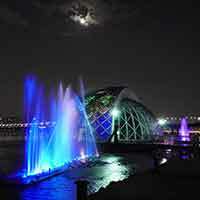 Over years of practical experience, we have evolved into one of the premier floating solution providers in India. Our engineering skills and research & development talent have helped us explore new use-cases & solve unique on-site challenges during deployment. 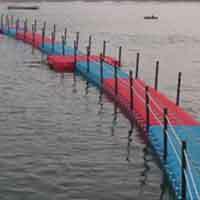 Our construction process mainly focuses in identifying the exact location for floating solutions in terms of setting up floating bridges, floating platforms, floating cottages, floating hotels, etc. 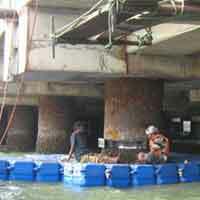 It is necessary for floating solutions to be connected to a strong point to enable easy embarking & disembarking. Copyright © 2019 Incodock. All Rights Reserved.